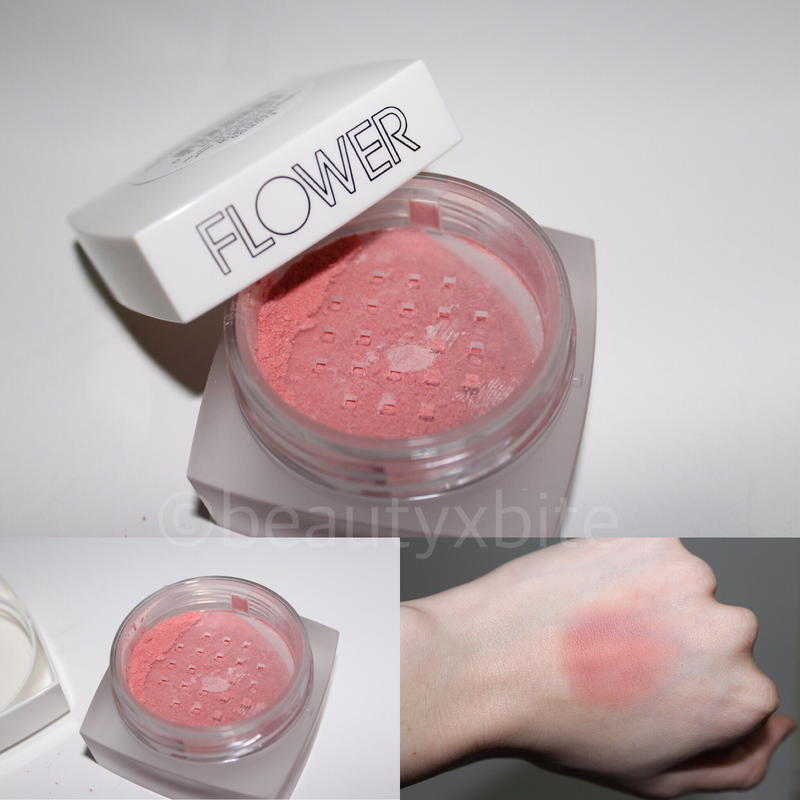 So for a while now I’ve been on the hunt for the Flower Beauty ‘Powder Up Loose Powder’. I’ve been searching for this specific product at my local Walmarts for quite some time with no luck! My shade (L101) was always sold out – even online! 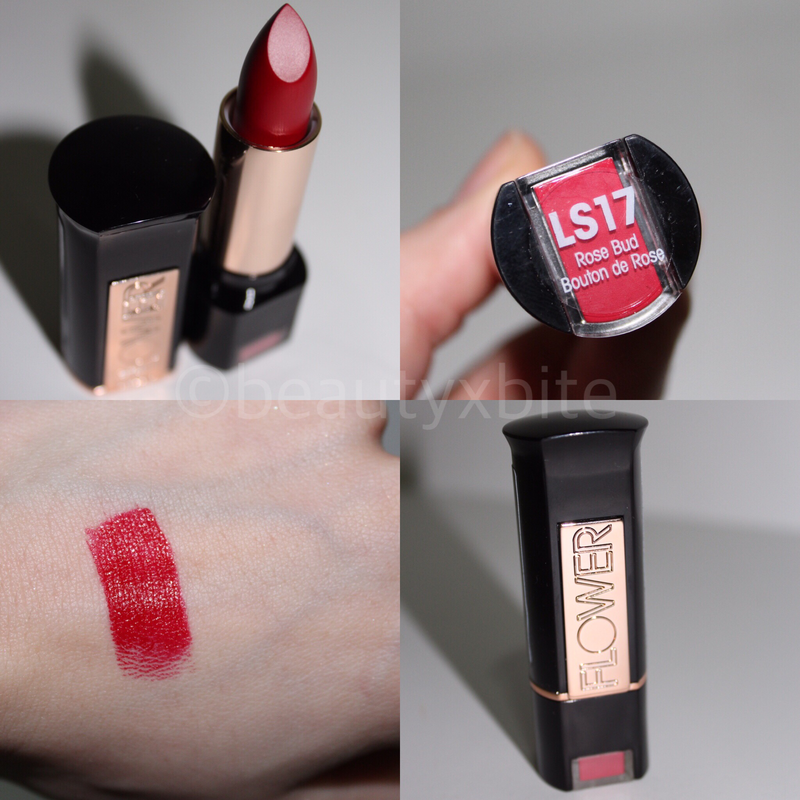 I was so glad when Flower Beauty finally opened up their own online shop at http://www.flowerbeauty.com so I could finally get my hands on the shade I needed. While I was at it, I also picked up some other products to try! The processing time was kind of long for the order (it took 5 business days to process before it shipped out) but it wasn’t terrible – and hey, it was their first week of accepting online orders! Everything came in the cutest packaging ever! I didn’t want to throw away the box. 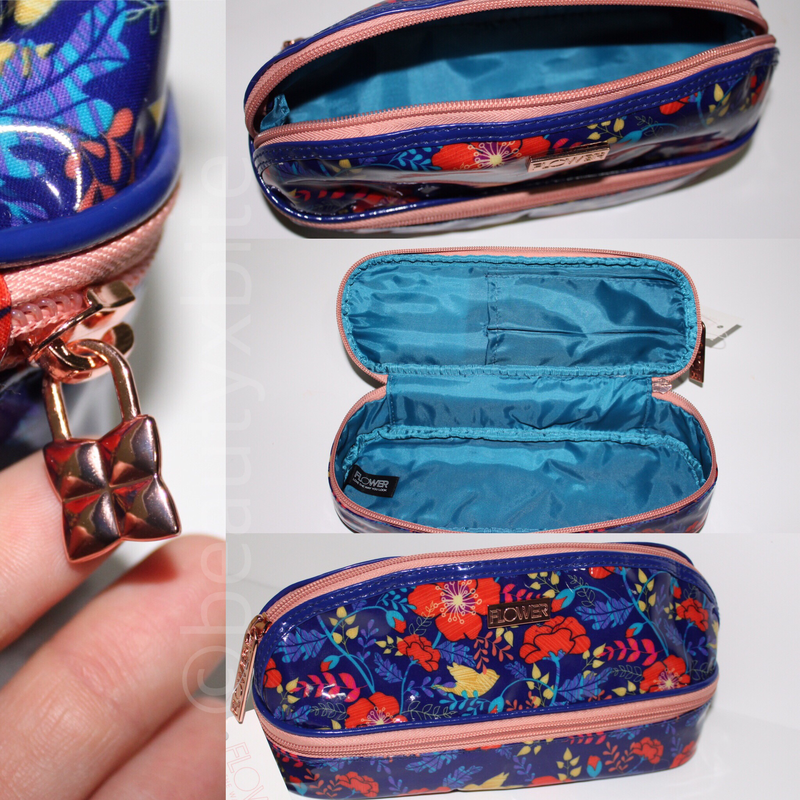 Pencil Cosmetic Bag: Retails for $12. This has a super cute floral design with birds on it. I love the bright blue color of the bag and it’s a perfectly slim case for my traveling! It fits so many products inside, I was pleasantly surprised. Definitely worth the cost and I will be purchasing more cosmetic bags from Flower Beauty in the future. The zipper detail is super cute as well, and the bag seems super sturdy! Powder Up Loose Powder: Retails for $11. As I said before I purchased this in the shade Light. I had been on the hunt for this powder for weeks but could never find my color! I was tempted to try this out because of Casey Holmes. She always talked about this powder and how amazing it is. And she was definitely right about it! I love this powder. You get so much product at such an affordable price. It’s mattifying without drying so it doesn’t enhance my oiliness. It disguises my pores just enough and leaves a natural looking finish. I LOVE this for baking. I do wish it came in a shade slightly lighter (I am super fair, for reference MAC NC15) and this can look semi dark if I pack on too much. It does blend away beautifully and I have been using it nonstop since I purchased it. Casey Holmes was right again!! 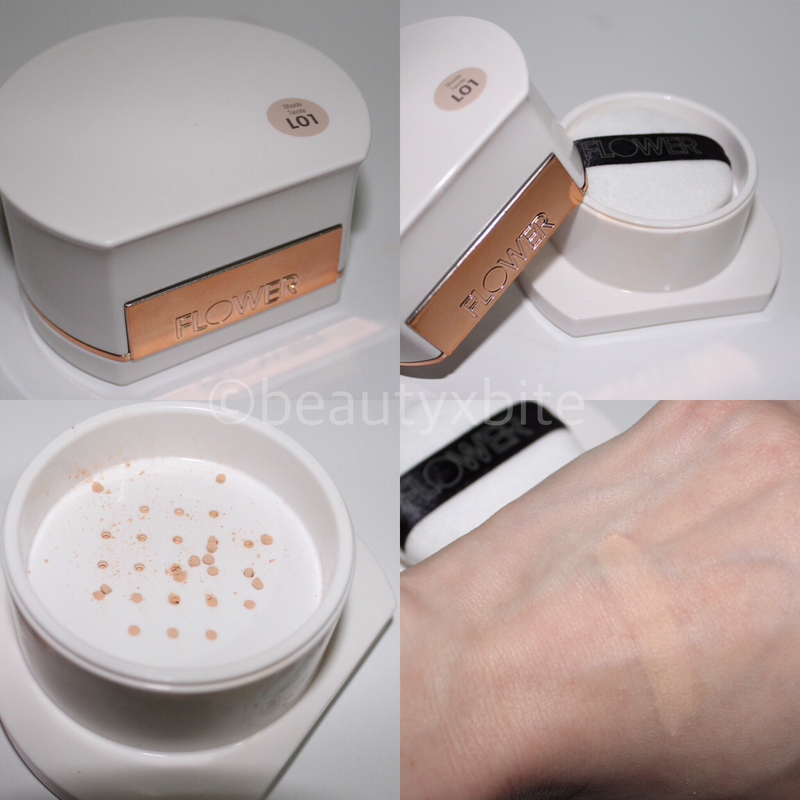 Transforming Touch Powder to Creme Blush: Retails for $14. I purchased this in the shade a-coral-ble. First of all, how cute is that name?! Obsessed. But honestly I haven’t heard much about this product and I just wanted to try it because the description was very intriguing to me. A powder to cream blush?? I have never heard of anything like that at all! And let me tell you…it’s exactly what it says! It is one of the coolest products ever. It warms into your skin and turns into a cream blush. You need the smallest amount and it blends beautifully. I love to apply it with my fingers but I also use a stippling brush and that works great too. It’s seriously such an interesting product. It lasts all day on my skin and the container is large for a Blush! Love it! I definitely recommend trying it out. Kiss Stick High Shine Lip Color: Retails for $8. I received this in the shade ‘Rose Bud’ which is a super pretty blue toned red. See that picture below? That is with one swatch!! It is so pigmented and goes on so beautifully. So moisturizing and looks so good. Love this lipstick. Stays on for hours with a good lip primer and lip liner too. I will definitely try out some more lip products from this brand in the future. I am dying to try out the Ultimate 3-in-1 Blending Sponge next! 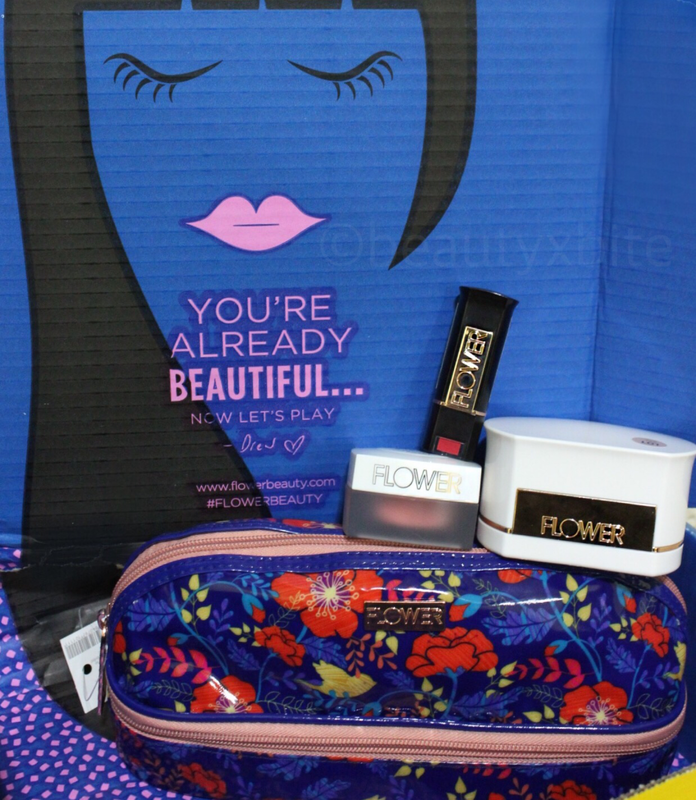 What have you tried from Flower Beauty? What are your thoughts on the brand? Let me know in the comments! 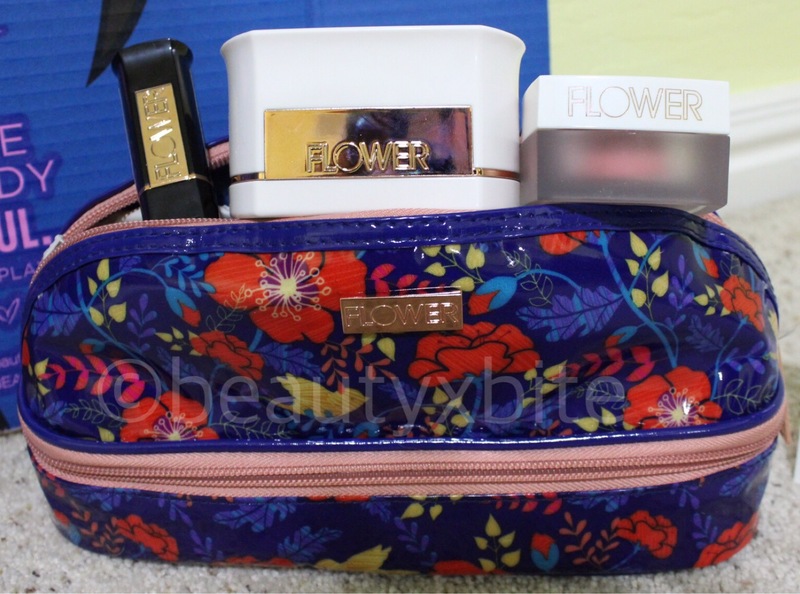 You can purchase Flower Beauty at http://www.walmart.com, Walmart stores or http://www.flowerbeauty.com (none of these are affiliate links) You can also sign up for an email subscription on Flower Beauty’s website and get a coupon for 15% off of your first purchase!